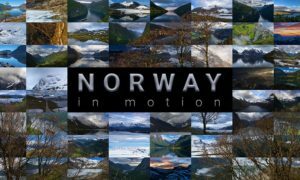 This video has some extraordinary shots of the the epic landscapes of Norway and was captured trough a period of six years, shot on Canon 5D Mark IV using Dynamic Perception MoCo Slider. A real challenge while creating this video was to capture this incredible landscape in the best light I could find. Very often, I returned without any images at all. The water reflection sequences were particularly difficult to capture, as a gentle breeze would be enough to completely ruin the mirror surfaced water. To overcome this, I really had to be patient. I had to visit and revisit many of the locations in this video, and after a long wait, the luck factor has definitely been on my side.